Laserfiche - a leading provider of enterprise content management (ECM) solutions - welcomed a record 3 000 attendees to its Empower 2017 Conference in February at the Long Beach Convention Center in California. The conference is the premier event for the ECM industry, and brings together Laserfiche users, resellers and technology experts to network, learn about the latest trends and innovations and accelerate their ability to drive business value with ECM software. "This conference is an affirmation of all of our commitments to build a better, more efficient world - a world where we liberate our organisations' information and put it to work," said Chris Wacker, CEO at Laserfiche. "As I view the future of Laserfiche and our amazing software, I see a global workplace that transcends paper, breaks the barriers of the physical office and truly drives our organisations to new levels of success." 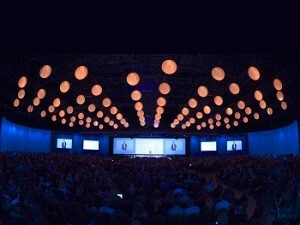 * Keynote speeches by Laserfiche CEO Chris Wacker and Laserfiche President Karl Chan. * Presentations by industry analysts including Karen Hobert, Research Director at Gartner, and Melissa Webster, Program Vice President, Content and Digital Media Technologies at IDC. 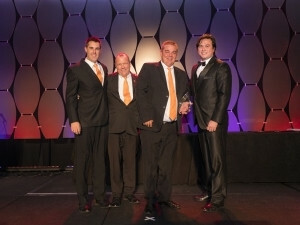 * Run Smarter Awards ceremony recognising exceptional customer implementations. * A preview of the Laserfiche Digital Transformation Model and product enhancements. 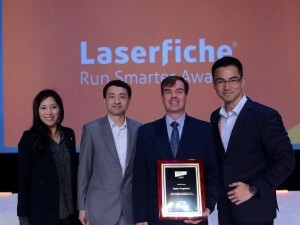 Noscotek can proudly announce that Pepkor Properties (a Noscotek customer)won a Laserfiche Run Smarter Award for "best-in-class finance initiatives" andVolta River Authority (a customer of WASP, who is one of Noscotek's sub-VARs) won aLaserfiche Run Smarter Award for "visionary technology initiative". Adivision of Pepkor Trading, Pepkor Properties manages the largest retail property footprint by number of stores in Africa. The organisation used Laserfiche to streamline the management of more than 5 000 contracts. The re-engineered processes have broken down geographic barriers between team members throughout Africa, enabling staff to reconcile invoices and make legal documents immediately available. "Across all industries, optimised financial processes comprise the foundation for success," said Wacker. "Dysart Unified School District and Pepkor Properties' initiatives prove that back-office efficiency gains directly influence front-office achievements. Congratulations!" ]"Organisations that pair innovative technology with visionary leadership have the potential to push entire industries forward," said Wacker. "Through inspired strategy and implementation, the City of Coppell and Volta River Authority have strengthened connections across their organisations and generated new opportunities for efficiency." 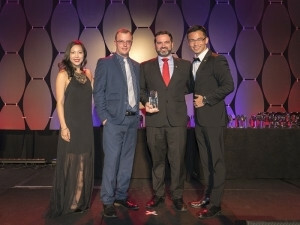 "The Laserfiche VAR Program has launched scores of multimillion-dollar businesses over its 16-year history, and 2016 was no exception," said Wacker. 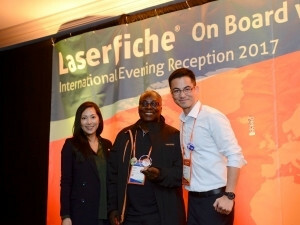 "The dedication of Laserfiche's VAR community is key to delivering necessary tools and services for organisations' productivity and modernisation around the world." 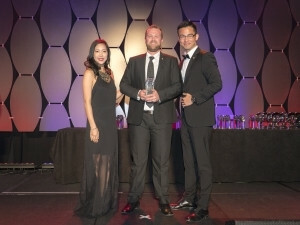 Noscotek as well as two of their sub-VARs - WASP and Kyocera - were part of the 66 best-selling Winners Circle Achievers that were recognised at the awards ceremony. Congratulations to you all! "In the past year, Laserfiche VARs discovered new opportunities while strengthening their presence in existing markets," said Hedy Belttary, Senior Vice President of Sales at Laserfiche. "Interest in digital transformation is at an all-time high, and Laserfiche products enable organisations to meet the full gamut of business goals. "Congratulations to all of our Winners Circle Achievers, and thank you for your commitment to excellence!" Laserfiche enterprise content management transforms how organisations manage information, automate document-driven business processes and make timely, informed decisions. Using Laserfiche, organisations can innovate how documents and unstructured information are processed and analysed to achieve business results. Laserfiche provides intuitive solutions for capture, electronic forms, workflow, case management, cloud, mobile and government-certified records management. Since 1987, Laserfiche has been the trusted choice of more than 36 000 organisations worldwide. For more information, visit www.laserfiche.com or follow Laserfiche on Twitter, LinkedIn and Facebook.